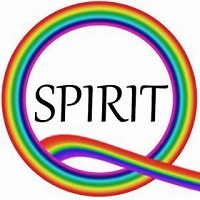 2010: A string of high profile suicides of gay teenagers makes national news, sparking debate on the high rates of suicide among LGBT youth and the culture of bullying that exists in many American schools. Dan Savage and his husband Terry Miller found the It Gets Better Project. LGBT people who were driven to suicide watch as Jesus is laid in his tomb. Jesus is not separate from humanity, but with us even in death. These queer martyrs join the “great cloud of witnesses” who surround us and encourage us to run the race ahead (Hebrews 12:1). Names of LGBT youth who killed themselves include Tyler Clementi, Seth Walsh, Justin Aaberg, Raymond Chase, Asher Brown, Cody J. Barker, Harrison Chase Brown, Caleb Nolt; Billy Lucas, Jeanine Blanchette, and Chantal Dube. The LGBT Stations of the Cross ends here -- but only temporarily! 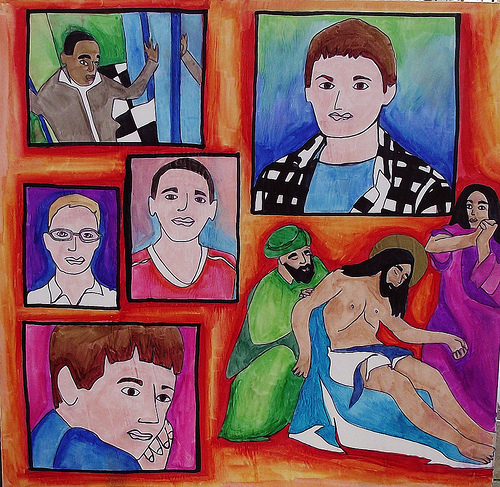 After Easter artist Mary Button plans to paint Station 15 showing the resurrection. “I’m hopeful that the Supreme Court will rule DOMA unconstitutional and I'll be able to create a Resurrection piece about the ruling!” she told the Jesus in Love Blog. 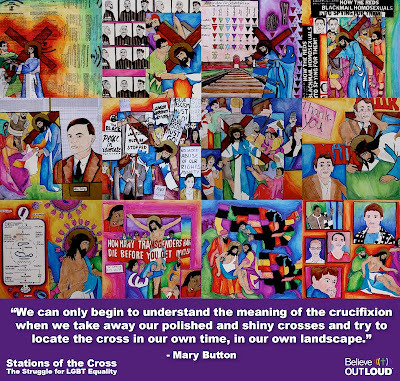 Artist Mary Button painted the LGBT Stations series for Believe Out Loud, an online network empowering Christians to work for LGBT equality. The entire series is available now for free download from Believe Out Loud's Flickr site. 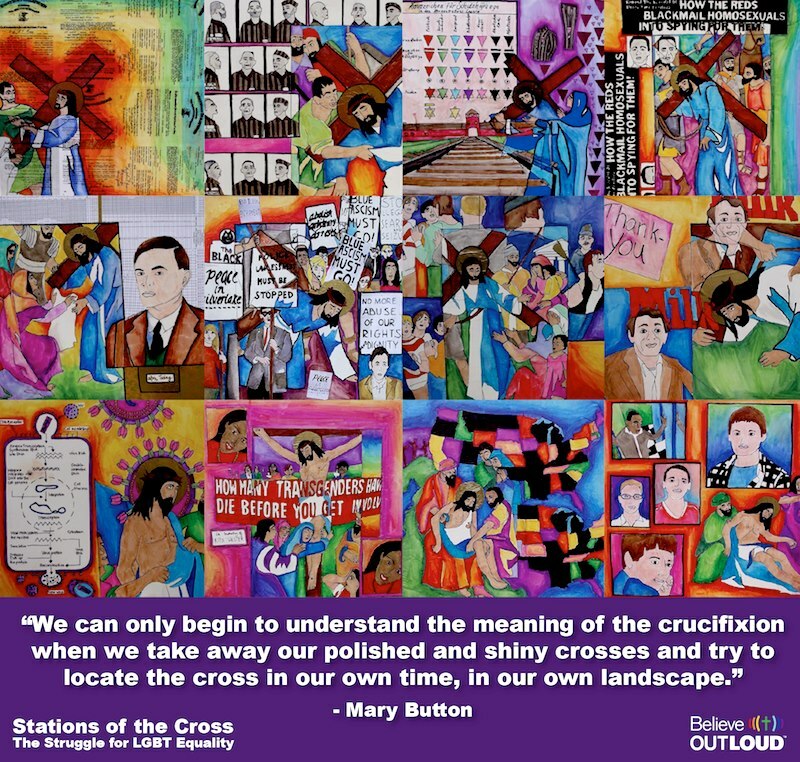 Here is a complete list of Button’s LGBT Stations of the Cross with mini-commentaries by Kittredge Cherry, lesbian Christian author and art historian. Click the titles below to view individual paintings and text.